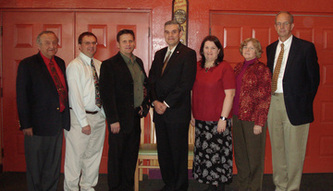 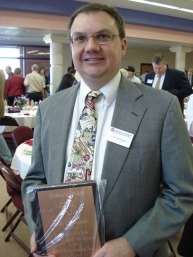 I have been fortunate to participate in many interesting events and meet even more interesting people. 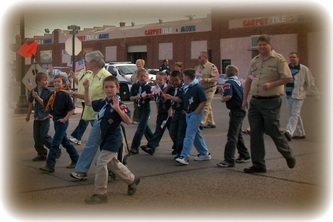 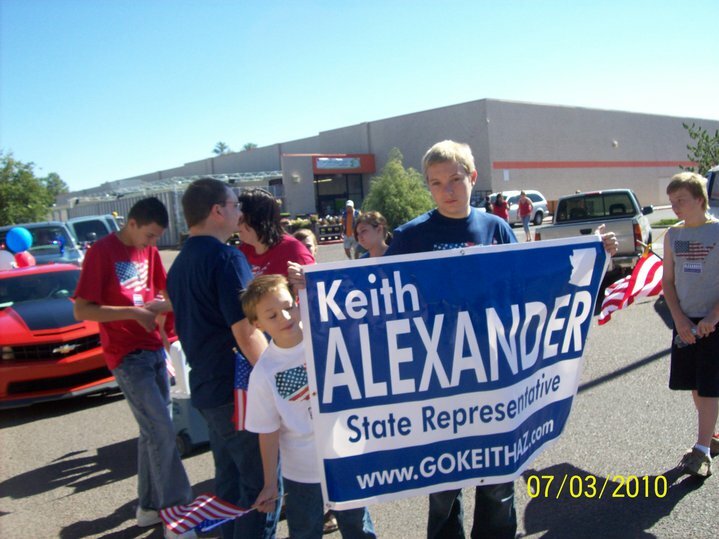 Click on the pictures to enlarge and read what Keith's been up to. 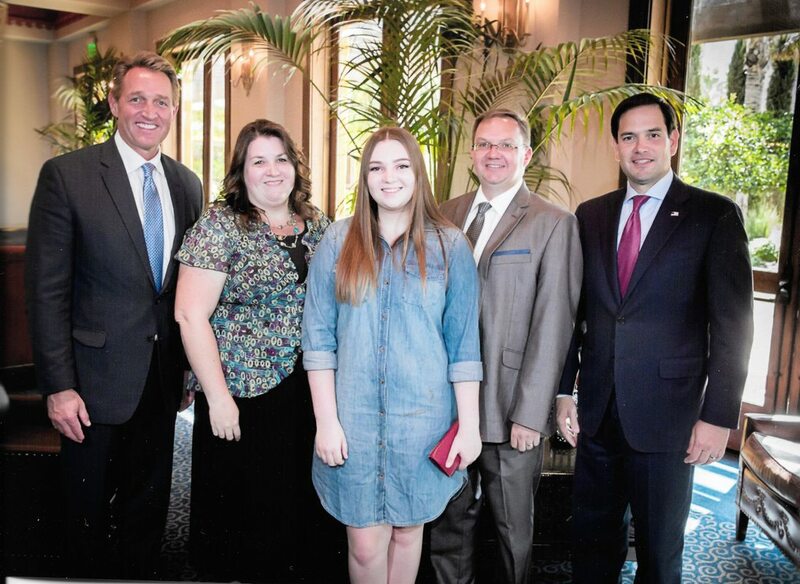 I was able to take Charlotte and Amanda to meet US Senators Marco Rubio (Florida) and Jeff Flake (Arizona) over lunch in August 2017. 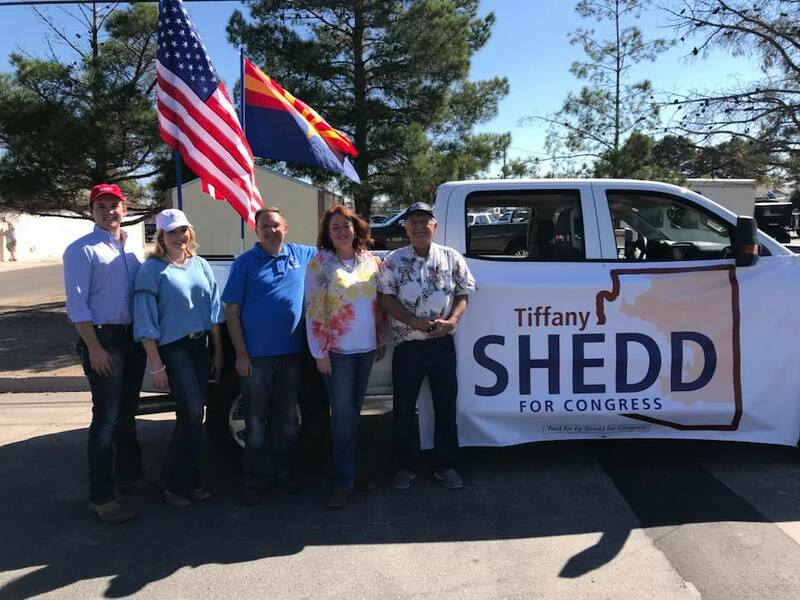 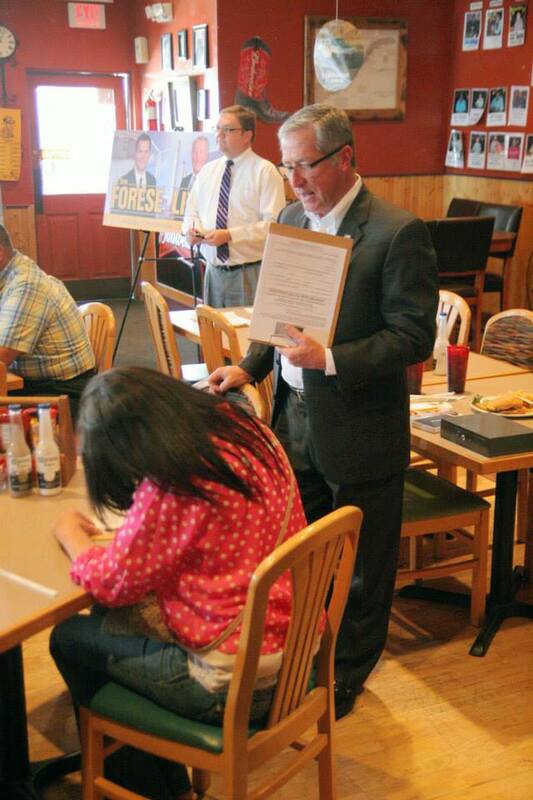 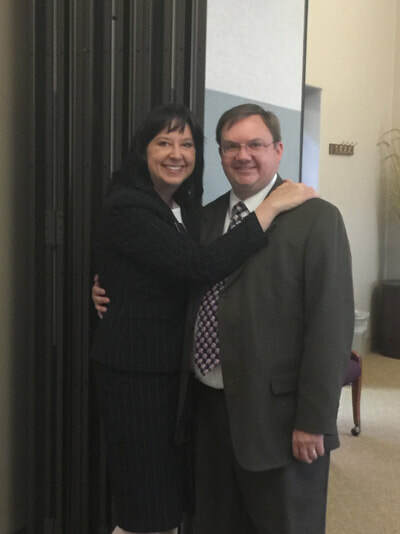 Assisting Tiffany Shedd in her race for Congress in CD-1. Her children and Duane Rhodes are also helping prep for the 2017 Graham County fair parade in October. 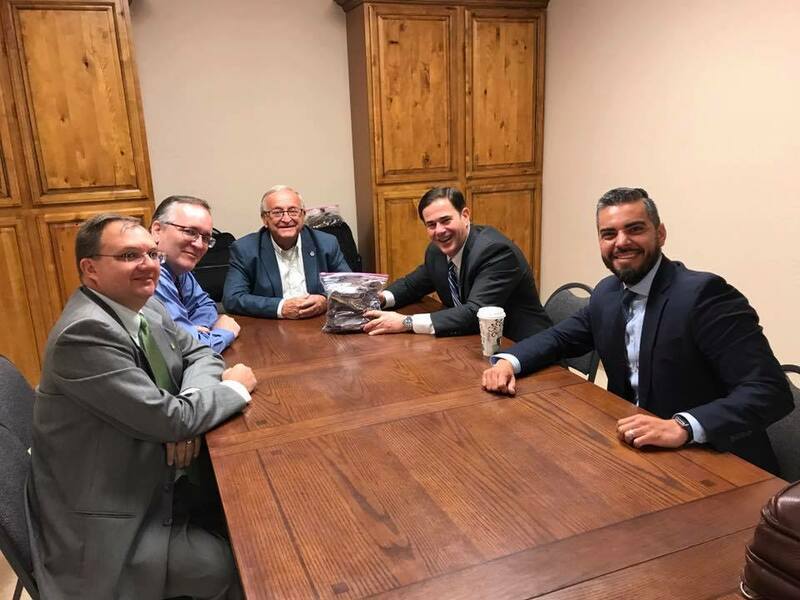 AZ Governor Doug Ducey flew into Safford. 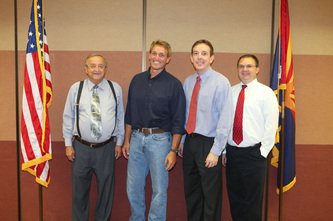 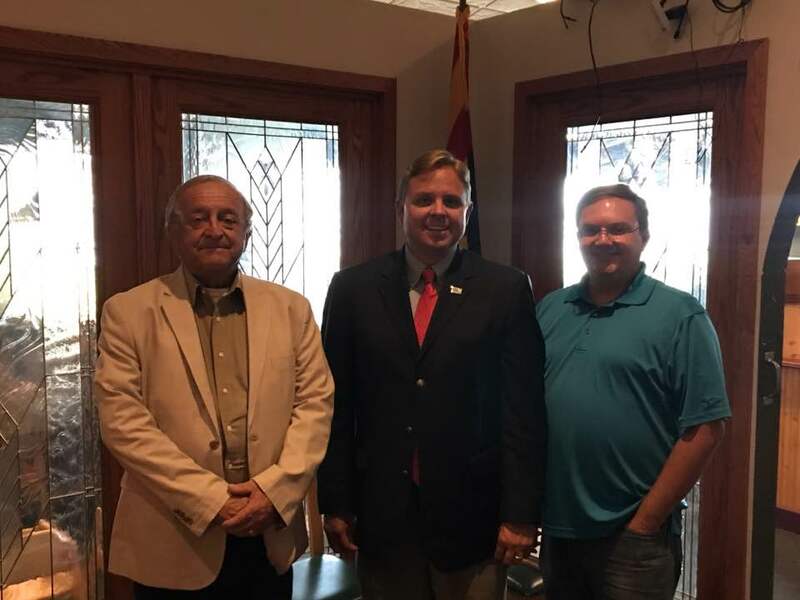 Also attending the meeting was Judge Gary Griffith, Duane Rhodes, and the governor's South Arizona Director Juan Ciscomani in August 2017. 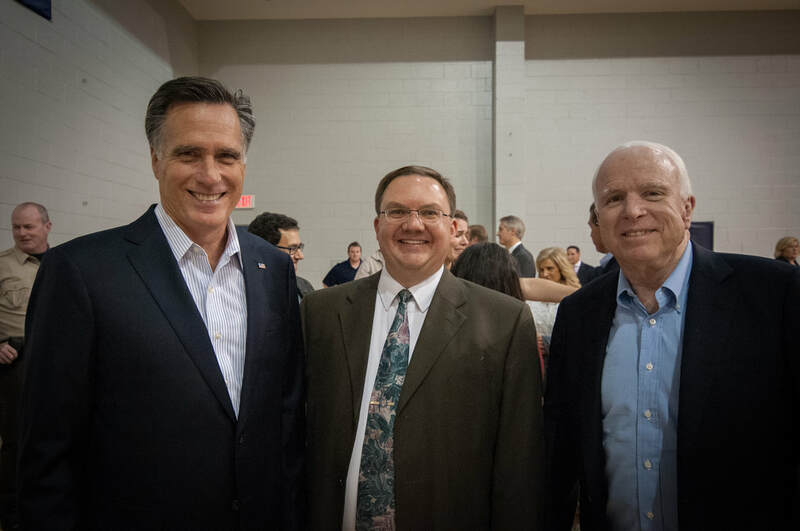 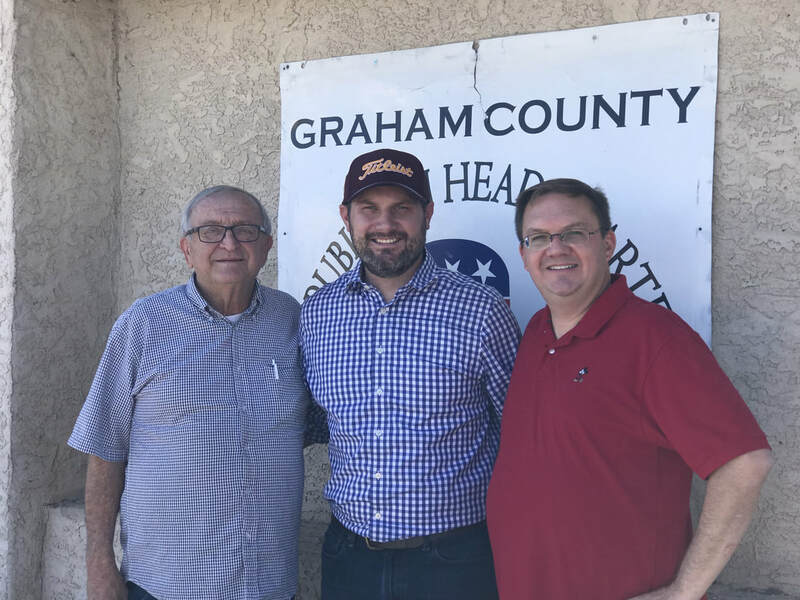 Duane Rhodes and I met with Arizona Republican Party Chairman Jonathan Lines when he visited Safford on Aug. 4, 2017. 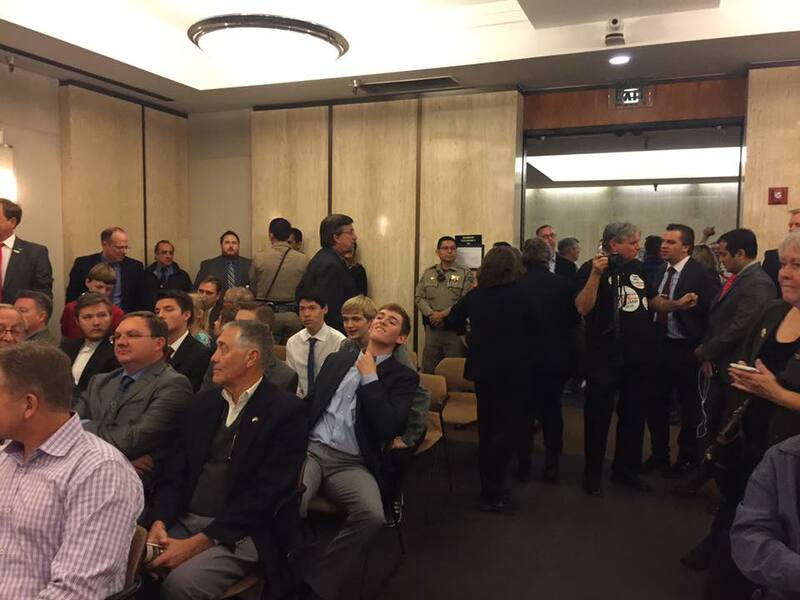 The invited guests were packed in like sardines at the meeting of the Arizona electoral college on Dec. 19, 2016, when all the electors cast their votes for Donald Trump. 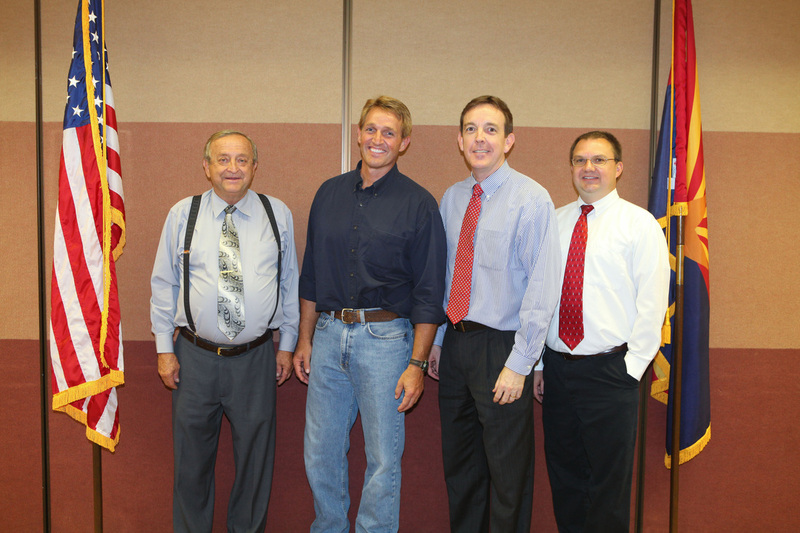 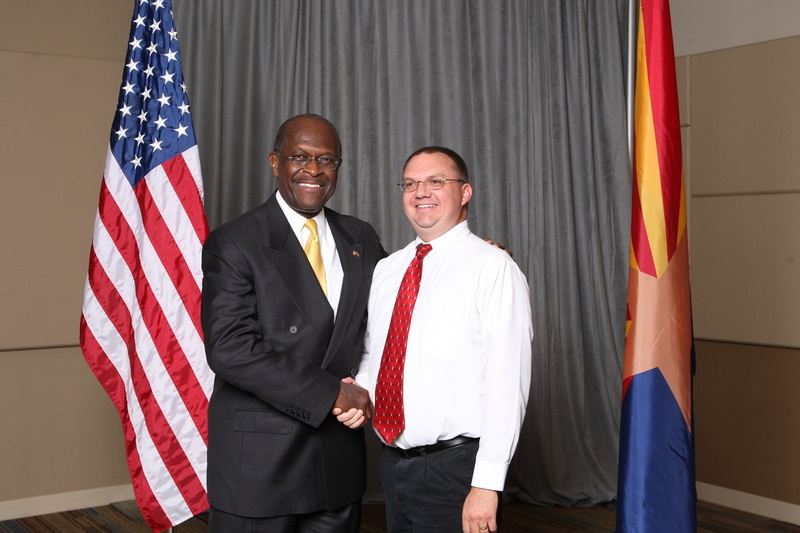 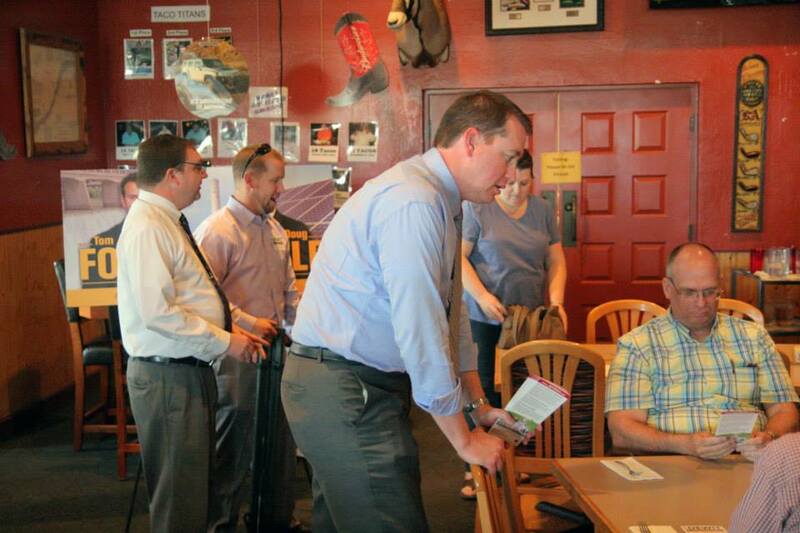 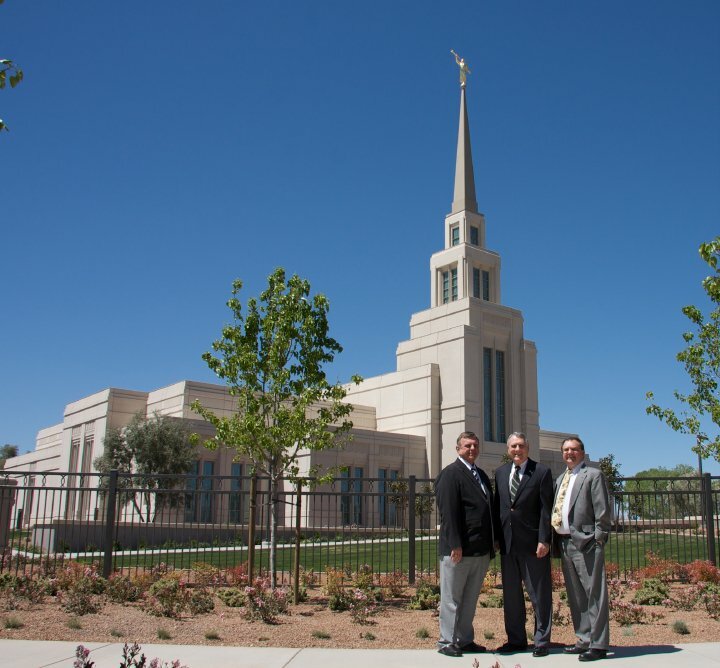 Giving Arizona Treasurer Jeff DeWit a tour of Graham County in spring 2014. 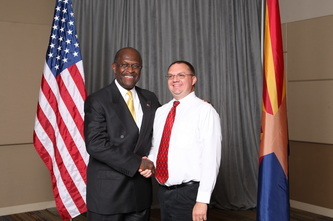 This is a screenshot of my guest appearance on Fox News discussing the 2012 presidential election. 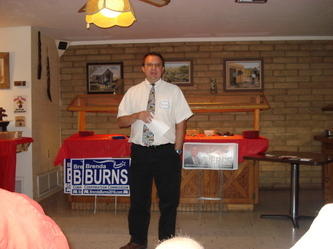 Introducing Doug Little in Graham County during his first (and successful) campaign for Corporation Commissioner on April 18, 2014. 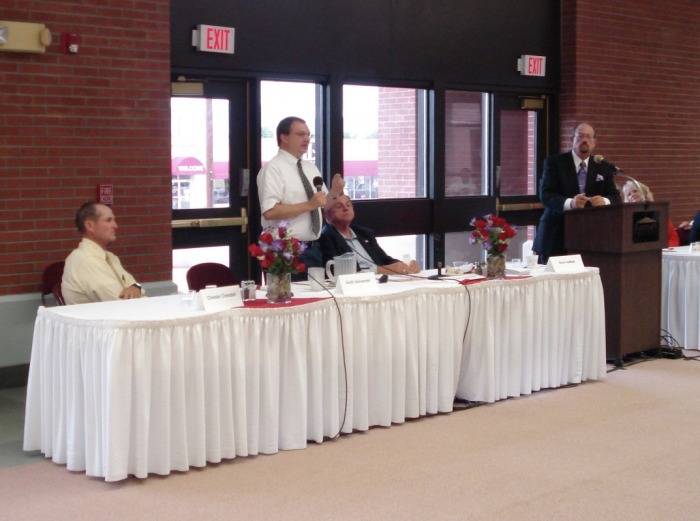 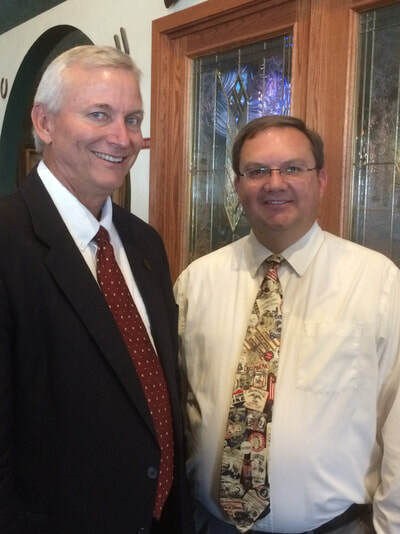 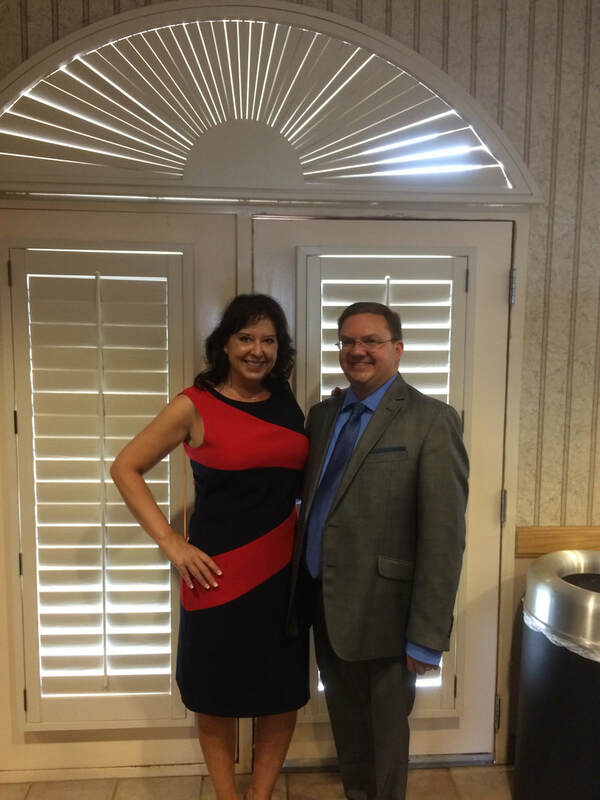 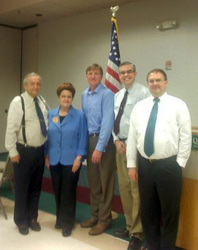 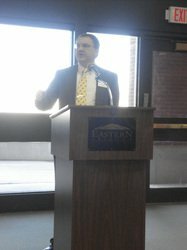 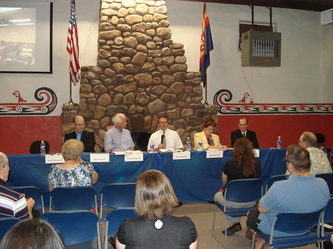 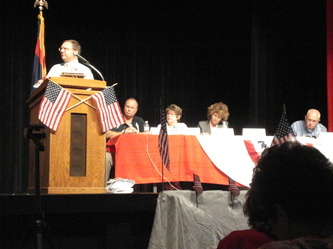 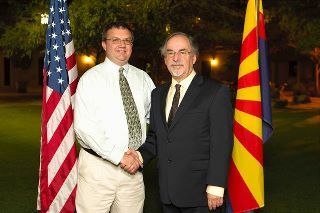 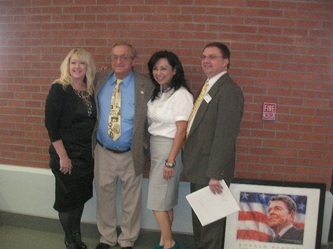 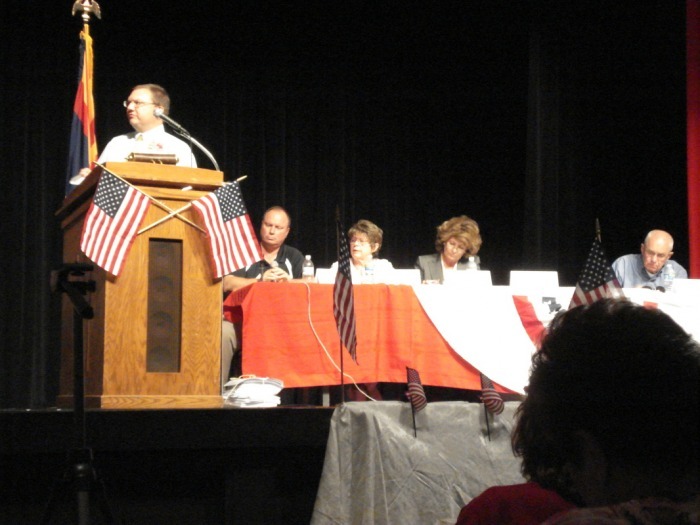 AZ Attorney General was my guest as the speaker for the Eastern Arizona College Constitution Day event in Sept. 2016. 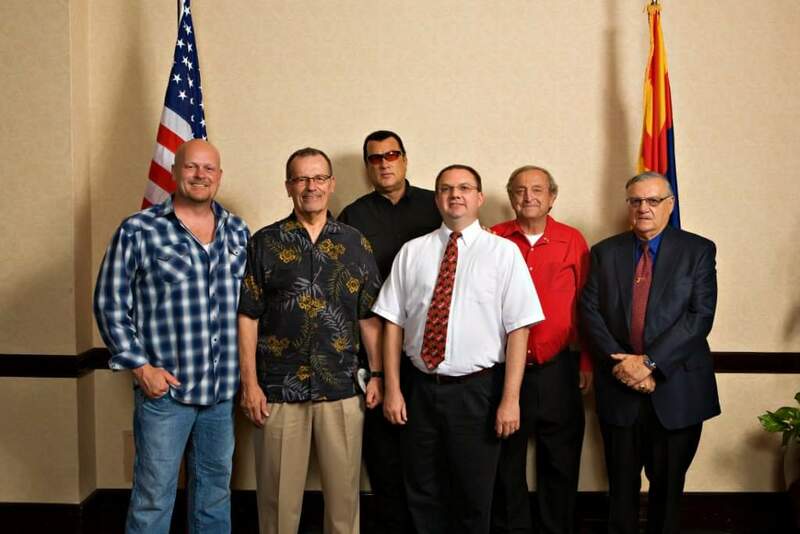 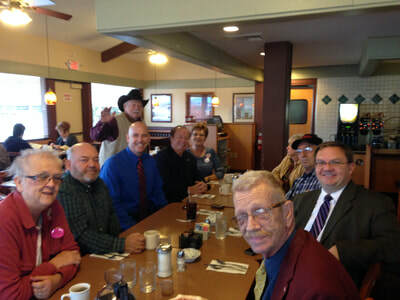 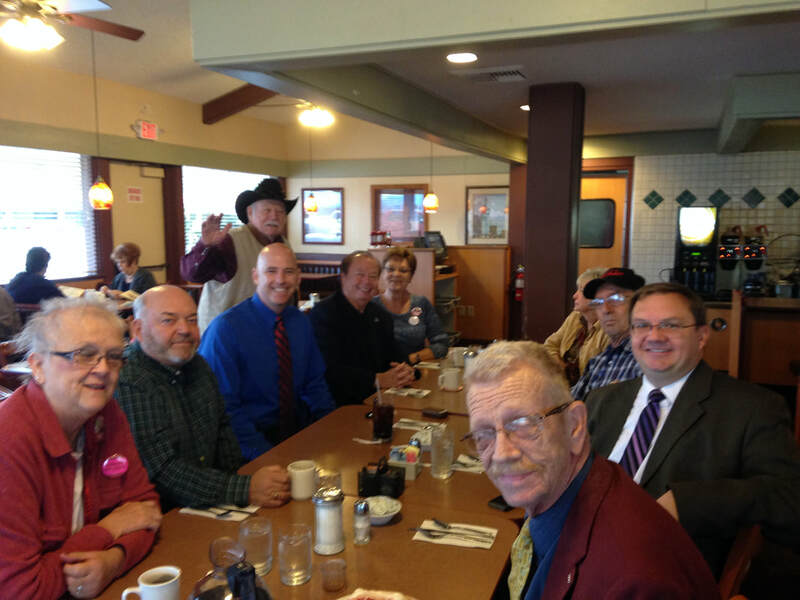 Motley-est crew ever (l-r): Joe “The Plumber” Wurzelbache, Tom Morrissey of Ohio Express (and now mayor-elect of Payson), Steven Segal, me, Duane Rhodes, and Sherriff Joe Arpaio. 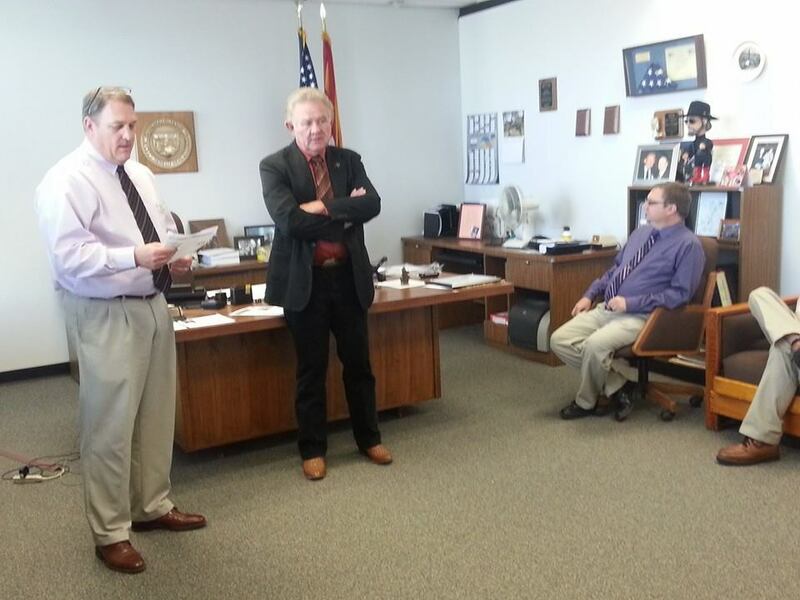 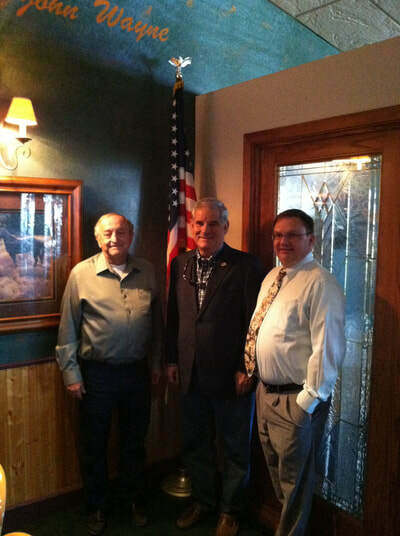 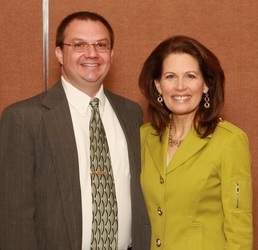 Meeting with State Mine Inspector Joe Hart in Feb. 2014. I'm standing to introduce US Rep. Tom O'Halleran for a meeting on economic development at Eastern Arizona College in summer 2017. 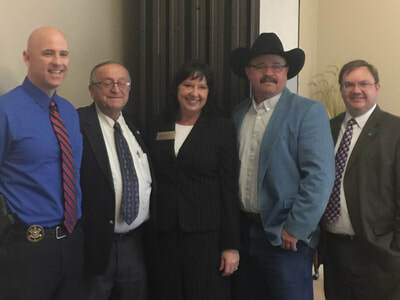 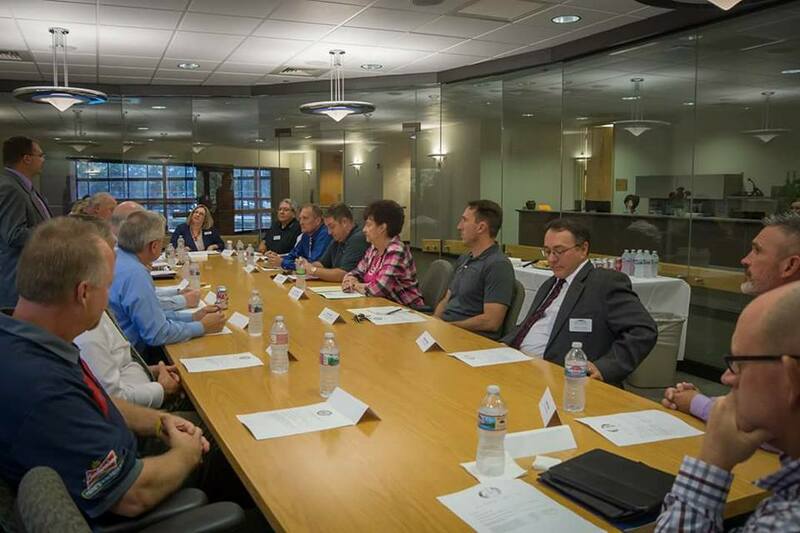 Attendees included Thatcher Mayor Bob Rivera, EAC Board Chair LoisAnn Moody, Graham County Supervisor Danny Smith, and Safford Mayor Jason Kouts. 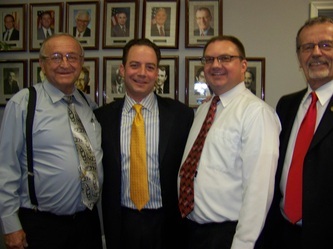 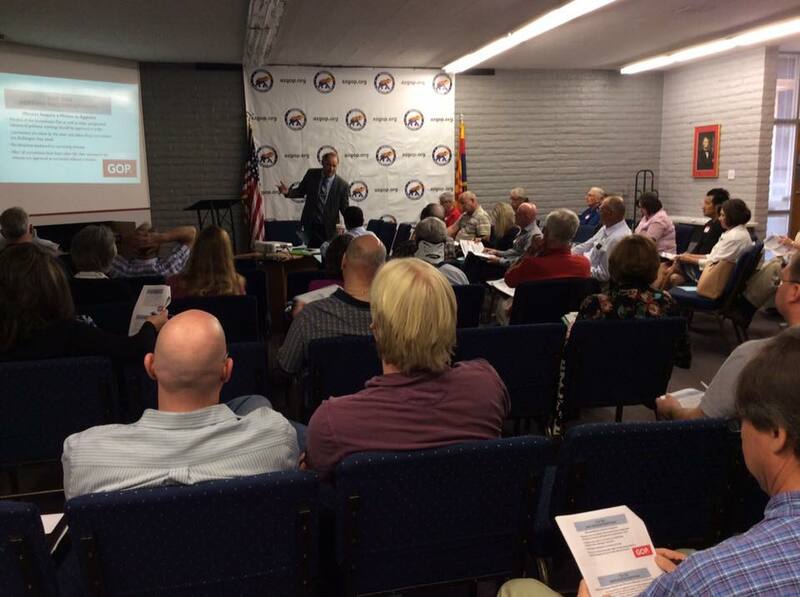 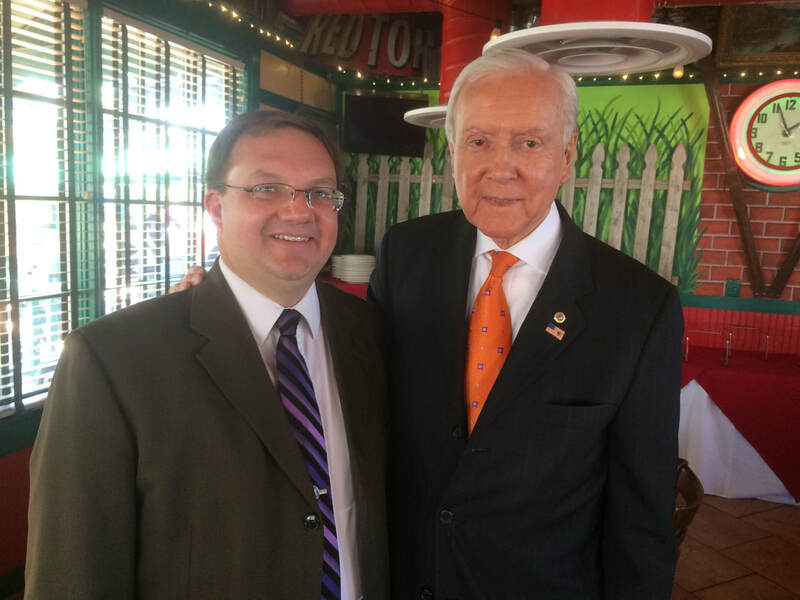 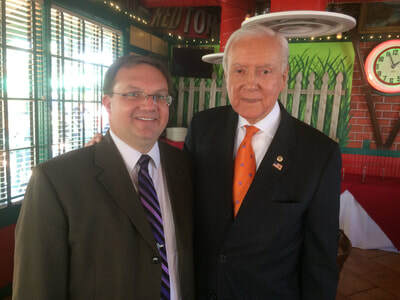 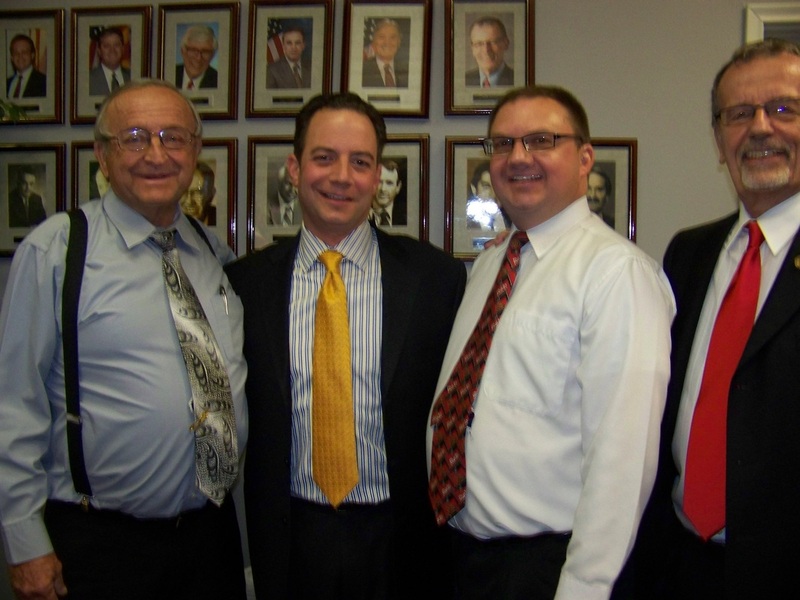 Attending a training session with Republican National Committee Parliamentarian Al Gage on Feb. 27, 2016. 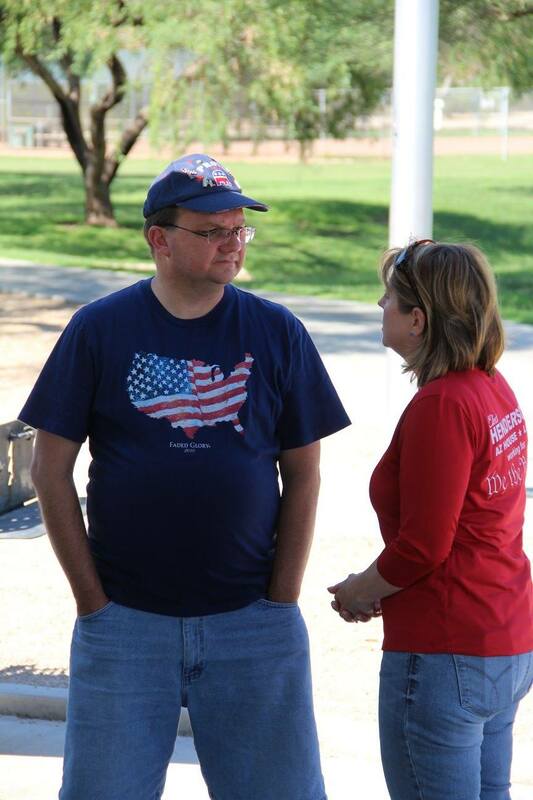 Visiting with Pima County Vice-Chair Ana Henderson at the Pima County GOP Independence Day picnic in 2016.